Hi there, my darlings! 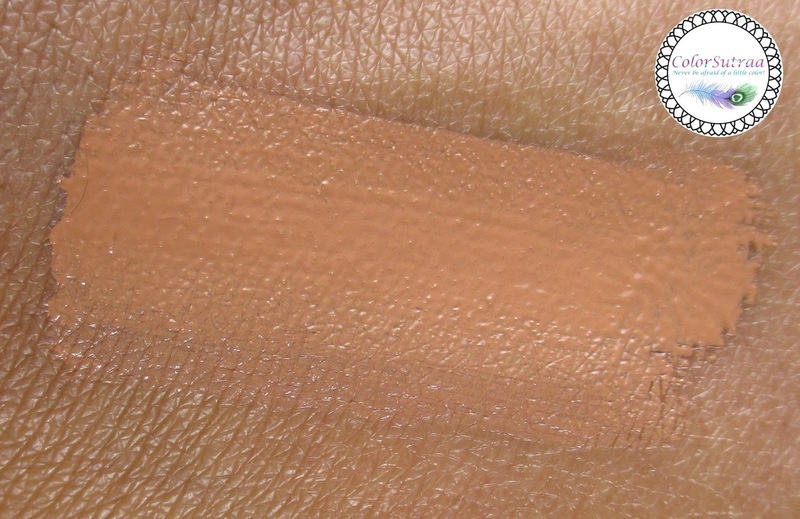 If I've said it once, then I've complained about it a million times that the one thing that's super hard to find in the US beauty market is foundation to match my Indian complexion--there's something about the particular shade of brown of many Indian women that is near impossible to find! And I know from speaking to several Indian friends that I'm not the only one! Either foundation is too dark on us or worse, too chalky. 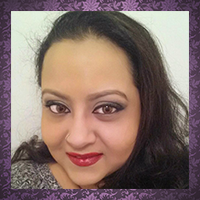 But, today, I bring hope to countless Indian beauties with my review of FACES Beautiful® Brush-On Foundation--yup, I do believe I've found a foundation that matches my complexion just right! How to choose a color :This is skin enhancing technology. You don’t have to match the color. IMPRESSIONS : Right off the bat, let me just say...it matched! Hooray! Once the biggest challenge in finding foundation for my complexion was conquered, I had hoped that the formula would be just as good...and this baby delivered! This foundation went on silky-smooth and blended amazingly well--no caking, no cracking, no mess! 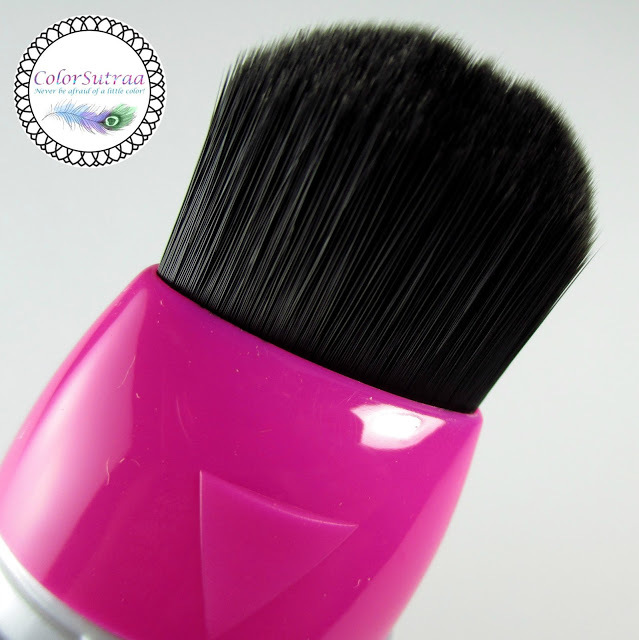 The attached brush shown above allows for even application across the broadest parts of your face, i.e., your cheeks and forehead but I did use my Beauty Blender to get into all the nooks and crannies. 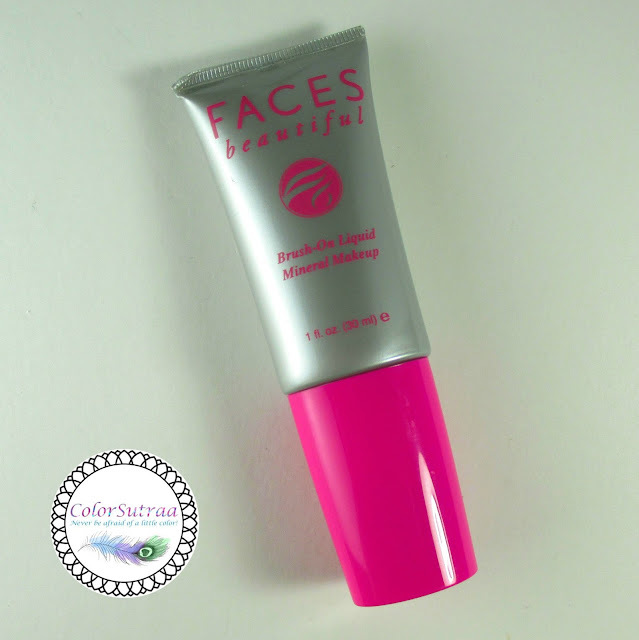 The formula is pretty light so it didn't feel like I was wearing a thick layer of pancake on my face and you can control how much you choose to apply just with a twist of the applicator. All-in-all, a huge win for me! Just look at the pic below! So there you have it, my darlings! If you, like me, have been struggling to find the perfect foundation, give FACES Beautiful® Brush-On Foundation a try--you can find them on their website HERE for the price of $40. What is your favorite brand of foundation? I'd love to hear your picks in the comments section below! Even though I'm 40-ish (give or take) I still have sensitive and oily skin. I have to be careful what I put on my skin or risk breakouts! Seriously, pimples and breakouts in my 40s? Anyway, I have found that Cover Girl's oil control formula works great for my skin all year. Just enough coverage to even out my skin without clogging my pores. Thanks for all your reviews, Babi! I really like reading your blog posts! OMG Heather, my face has erupted while I'm in India! I'm gonna have to check out that Cover Girl when I return!